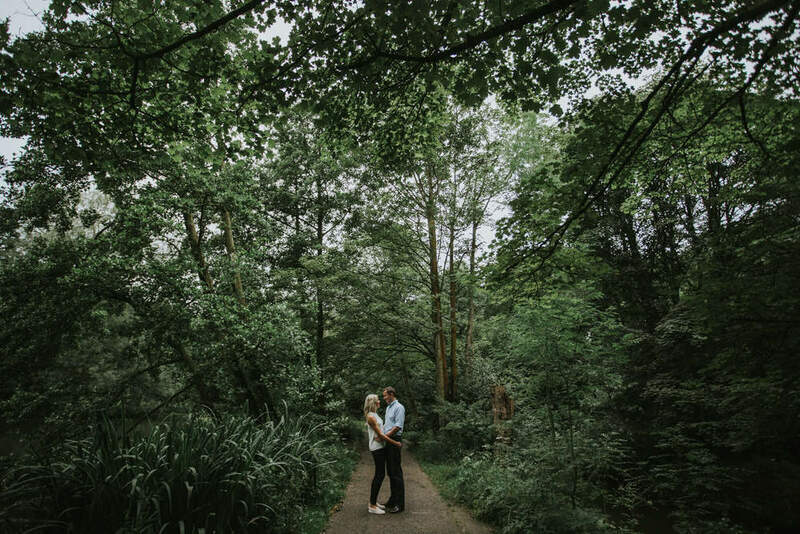 Frances and Matt recently moved to Bramhall - literally a stones throw from Bramhall Hall Wedding venue and the gorgeous park surrounding it, so we thought it quite fitting to have our engagement shoot here. Weather-wise It had been rather on-off all day, but towards the evening we decided to go for it and luckily the weather held out for us for the duration! 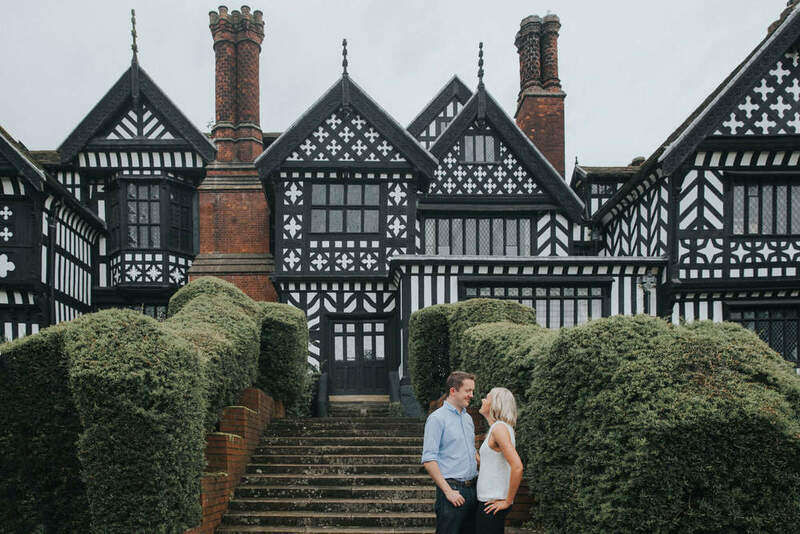 Personally, I love these gardens and know them very well from park runs and romantic walks with Emma (her days of living in Bramhall are now unfortunately over - but less about us and more about the shoot ;-) ). 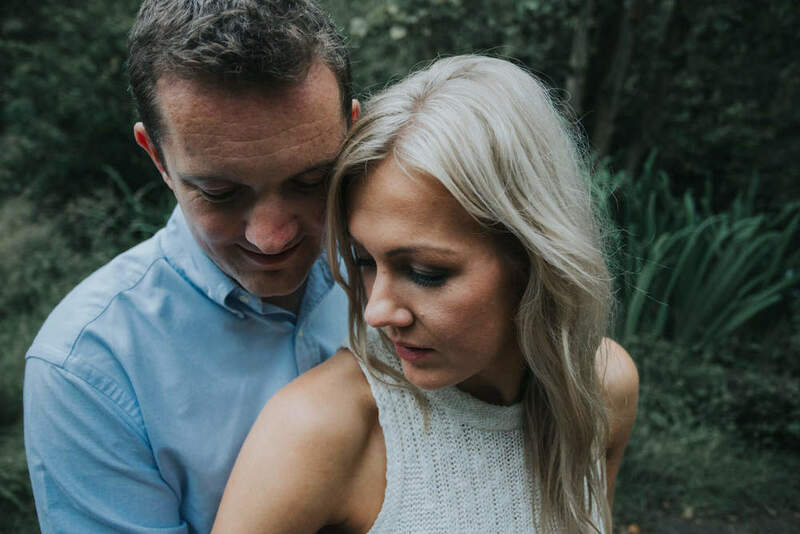 I absolutely loved photographing Fran and Matt and felt we clicked really well. I love their sense of humour and (should I dare to say it....) witty banter! I loved Fran wanting to make sure every photo was perfect and symmetrical if possible (sorry Fran!) 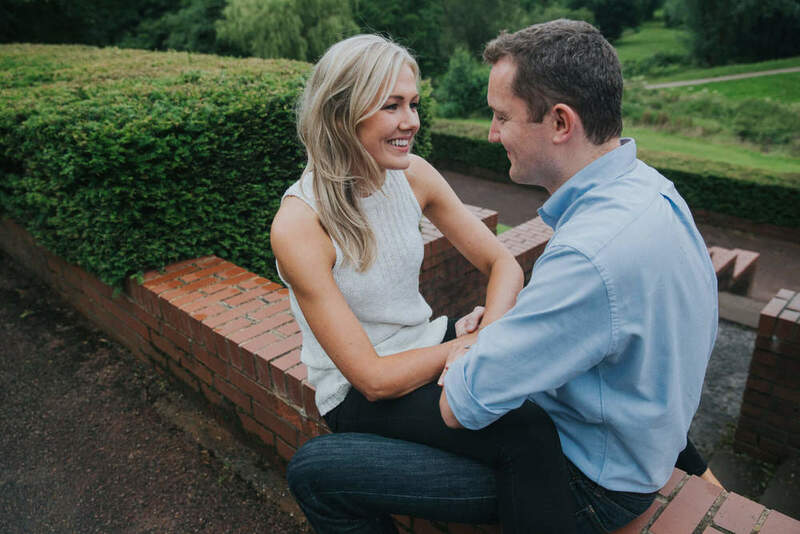 and during the shoot you could just tell this gorgeous pair are just meant to be! 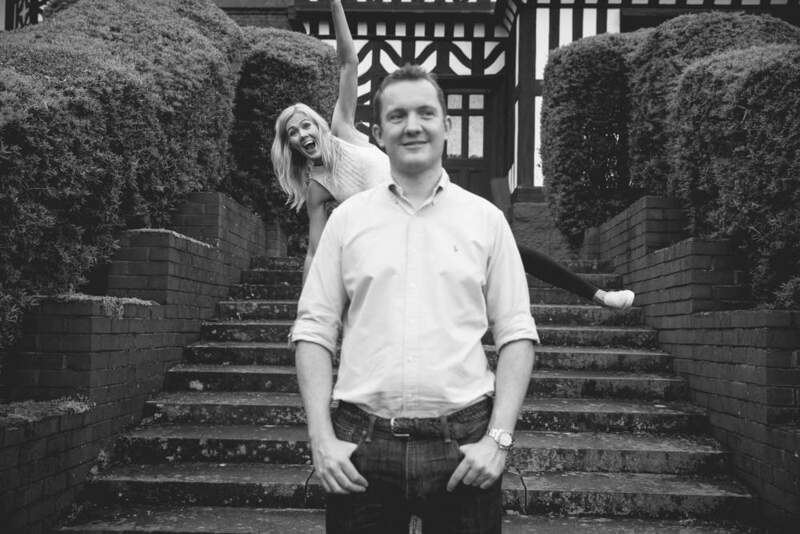 The shoot started nice and reserved - shooting in front of gorgeous flowerbeds planted lovingly by Bramhall Hall's expert gardeners. With a large twist of fun and games mixed in throughout the shoot with jumping, "armlinking 'backsies'" (I've just coined the expression - hopefully you'll see what I mean though!) 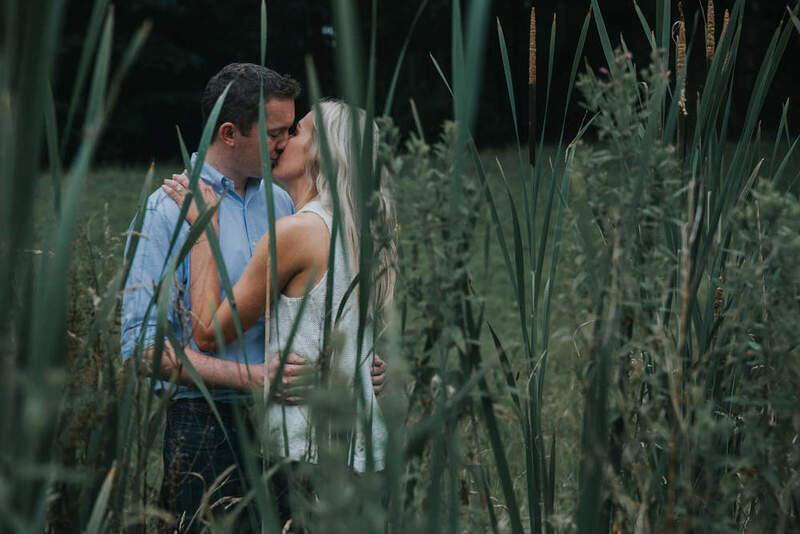 and island hopping in the middle of the pond; we managed to capture a wide selection of brilliant moments between the loved up couple. I really can not wait for us to meet up again for their Chateau Rhianfa Wedding in Anglesey so that we can continue where we left off!